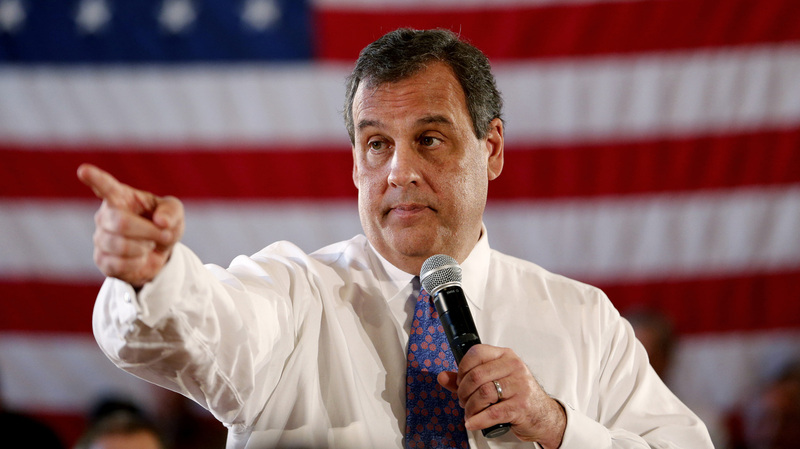 Could Chris Christie Appoint Himself To The U.S. Senate? Yes, He Can : It's All Politics The indictment of Sen. Robert Menendez, D-N.J., could lead to Chris Christie, R-N.J., appointing a replacement. With Christie's presidential prospects, he might want to consider appointing himself. New Jersey Gov. Chris Christie: "I would rather die than be in the United States Senate." Thought exercise: What if the indictment of Democratic Sen. Robert Menendez ... could once again potentially place an appointment of a U.S. senator in the hands of New Jersey Gov. Chris Christie? To trigger this scenario, Menendez, who was indicted Wednesday on corruption charges, would first have to step down or be convicted. Menendez has given no indication he's going anywhere. Then again, stranger things have happened. His presidential hopes seem bleak at the moment. Christie trails in all the 2016 polls, and he's not viewed very positively. An ABC/Washington Post poll out Thursday found that among registered Republicans and Republican-leaning independents, Christie is in seventh place with just 7 percent. He trails Jeb Bush (21 percent), Scott Walker (13 percent), Ted Cruz (12 percent), Mike Huckabee and Marco Rubio (8 percent each). The story is much of the same in early states. What's more, a majority of Americans have a negative view (51 percent) of Christie, while just more than quarter (26 percent) have a positive one. Making matters worse for Christie, he's viewed as the worst of the candidates polled among Republicans — who give him just a 38 percent positive rating and a 41 percent negative one. That's a net negative of minus 3. 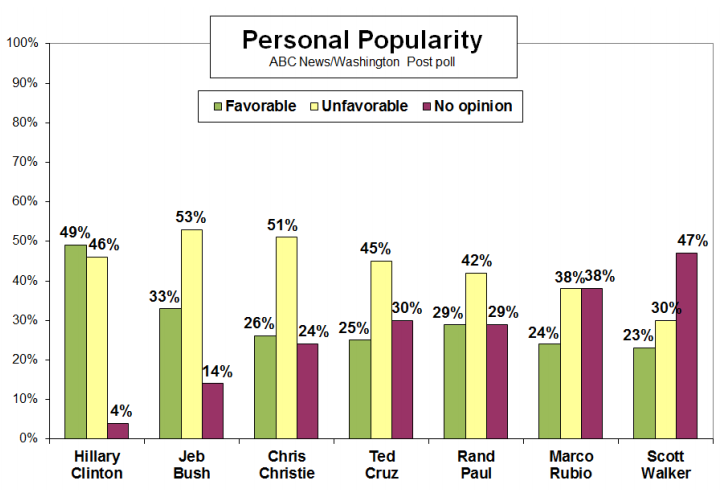 Bush, Rubio, Walker, Cruz, and Rand Paul all are net positive by double digits. None of this, of course, matters to Christie. "Is the election next week?" Christie retorted in February at the Conservative Political Action Committee. "If I decide to run for president, I'm not worried about what polls say 21 months before we're going to elect the president of the United States. I'll take my chances on me. I've done pretty well so far." But what if Menendez winds up stepping down or is convicted in the next year, and Christie is still far behind in the presidential primary race? Christie, in that case, would not have many more political options — other than the Senate. Might he reconsider? "Believe me: When I say I am never running for public office in New Jersey again? I mean I am never running for public office in New Jersey again," Christie said last October. "The only job left for me to run for is United States Senate, and let me just say this: I would rather die than be in the United States Senate. OK? I would be bored to death. Can you imagine me bangin' around that chamber with 99 other people? Asking for a motion on the amendment in the subcommittee? Forget it. It would be over, everybody. You'd watch me just walk out and walk right into the Potomac River and drown. That'd be it."